Manoj Kumar Varma, has assumed charge as Director (Power) on the board of Bharat Heavy Electricals Limited (BHEL). Prior to this, he was heading the company’s power sector – Southern Region (PSSR), Chennai as Executive Director. Significantly, PSSR is executing major power projects in the southern region, contributing substantially to BHEL’s power sector business segment. He is a mechanical engineering graduate from SGSITS, Indore and an MBA in Marketing from Bhopal University. He has 35 years of experience in the field of energy, industrial systems and infrastructure industries, covering major value chain functions viz. production, commercial management, marketing and business development, contract management, planning and development, information technology and strategic management. Varma joined the company as an engineer trainee at BHEL’s Transformer Plant, Jhansi and subsequently moved to its heavy electrical plant, Bhopal where he worked in various capacities. Subsequently, he was transferred to the company’s industry sector business segment headquarters, New Delhi as General Manager. 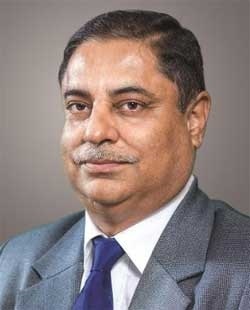 During his career in BHEL, he has also headed the Ceramic Business Unit of BHEL, Bengaluru with the Electroporcelains Division (EPD, Bengaluru) and Insulator Plant (IP, Jagdishpur) under its ambit.